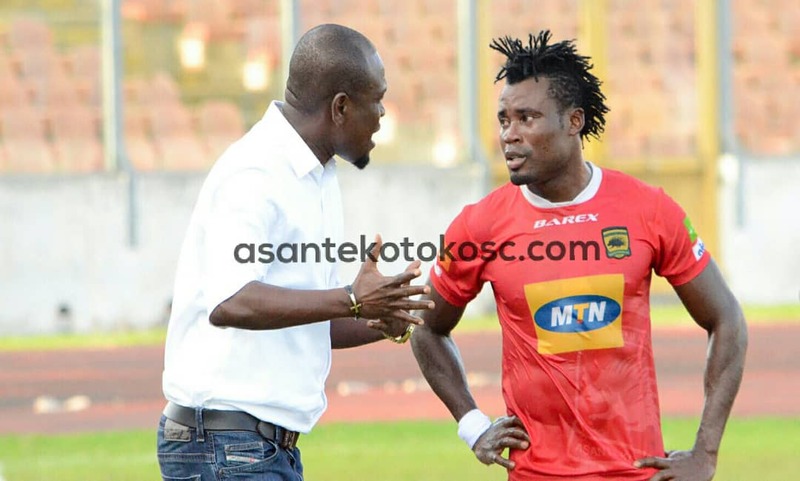 Asante Kotoko head coach Charles Kwablan Akunnor is confident his misfiring strikers will soon rediscover their goalscoring touch ahead of their Caf Confederation Cup game against Zesco United in Kumasi. The strikers have failed to score for the side in their games and it has been a worrying situation for the technical handlers of the team. Leading marksman Songne Yacouba, who scored a handful of goals for the Porcupine Warriors in the truncated Ghana Premier League is yet to register a goal in the Confederation Cup. The Reds lost 1-0 in Khartoum against Al Hilal and in light of this, supporters are really worried about the attacking prowess of the striking force. "Just as we had an idea of how they play, I believe they (Al Hilal) also had an idea of how we play and so our strength was known to them"
"I don't rely too much on the strikers to do all the scoring because any other player on the field is equally capable of scoring" Akunnor reiterated as he addressed the media at the post-match conference in Khartoum. "In our previous games, we were able to score goals but as I mentioned earlier, anyone is capable of scoring". Asante Kotoko will welcome Zambian giants Zesco United in their next Caf Confederation Cup fixture as they look to secure all three points to boost their chances of reaching the quarterfinals.